All mobile devices and smart accessories shared a common problem – power. They all rely on batteries, which in best case scenario provide about two days of operational time. This makes the wireless gadgets “tied” to their recharges. But how much cool it would be if there was a way to charge them from the… air. Such technology is already available, but for the most part it comes with some limitations. Current standards for wireless charging pads usually work in a very small radius. So practically the device needs to be placed on the stand. Thus eliminating the cable, but not the need not be static. The company Drayson Technologies is currently developing a technology (Freevolt), that can be a potential solution to all these problems. They are focused on creating truly wireless devices that don’t require recharging and can generate electricity out of thin air, and all this for free. At any given moment there are multitude if waves “floating” around us – GSM, 3G, LTE, WiFi, radio, television. For the most part they just travel in space until captured by the receiver. Freevolt will use them to generate electricity to power devices such as the Internet of Things (IoT). At its current stage the technology is suitable for sensors and gadgets that do not need too much energy. It eliminates the need to recharging or battery replacement, ensuring constant minimum charge at any given time in which the device has a “contact” with radio waves. The founder of the company and former minister of science of Great Britain – Drayson Lord – shares that this will greatly extends the life cycle of both the device and the power supply. The system can use several different radio frequencies or types of signals, simultaneously, and almost regardless of their direction of arrival to the unit. Freevolt is already patented and in final phase of construction. The new device will probably be ready by the end of this year. Initially it will be used for sensors and devices with low power consumption. The technology, however, can easily be scaled and used even for much greater energy consumers such as buildings. According Drayson this is the first commercial system that uses the surrounding radio waves to generate power and in the same time doesn’t need a special transmitter. This makes it compact and easy to embed inside very small devices. Freevolt relies on three major components. The first is the antenna that receives radio signals in range of 0.5 to 5GHz. Then the collected energy is passed through a rectifier, which converts it to direct current. Finally all the converted electricity goes into control module, which decides whether to store it in the battery, or to use it immediately. According Drayson in places such as offices, where there is a combination of multiple signals, the standard Freevolt module can generate about 100 microwatts of power. This is not enough even for a smartphone, but Drayson’s company is looking mostly to IoT devices and future smart homes that will require multiple sensors that will manage various tasks. The answer unfortunately is no. It is still too early and even Drayson doese’t think about such future, because he has to find answers to other important questions. The first is whether Freevolt will find enough supporters among manufacturers of sensors and devices. The second is whether the technology will be able to disprove the skeptics. Freevolt business model is sufficiently simple and aims to ensure that consumers will not pay for the energy the module generates. The company will offer licenses to manufacturers of devices, and support for embedding. This means that Drayson Technologies will rely on interest of other companies as well as ideas for gadgets that will use the instrument. The company has not yet commented on how and whether there already concluded any partnerships. “The same effect can be achieved with battery and transmitter with low power,” says Dean Babli, mobile technology analyst and founder of Disruptive Analysis. According to him the mobile operators may not be satisfied with anyone using their waves. Assuming that the technology spread, this could mean that other free frequency will suddenly be “absorbed” by such modules, which can disturb the quality of communications. Babli suspect that telecoms can even ask Drayson Technologies to pay fee. But according o the company – there is no legal basis for such claims and operators will actually like the idea. Vodafone’s senior officials were at the official presentation of Freevolt, as well as employees of Apple and Morgan Stanley. Drayson himself thinks that the entire industry will like Freevolt, because it does not require additional infrastructure, will reduce costs, and is one of the most effective technologies at the moment. So far the only device that uses Freevolt, is the CleanSpace Tag sensor, developed by Drayson himself. 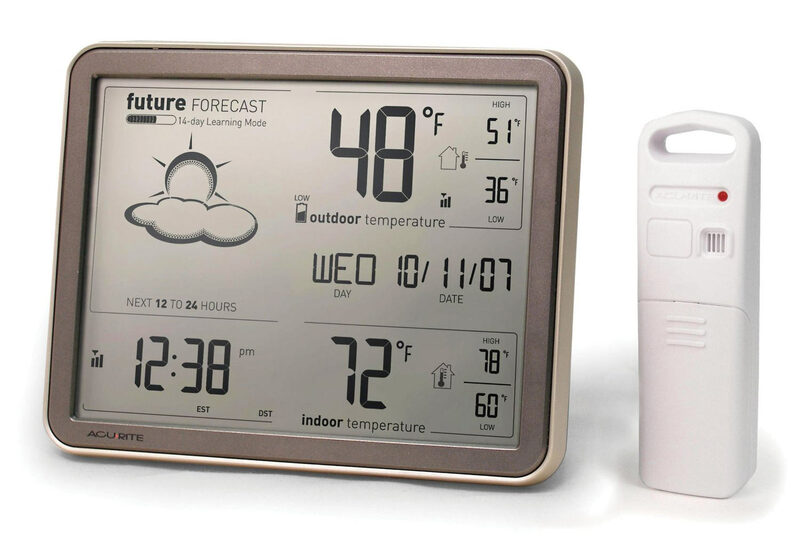 It monitors the air quality in the surrounding environment. There is no information about other gadgets or sensors that use the technology.